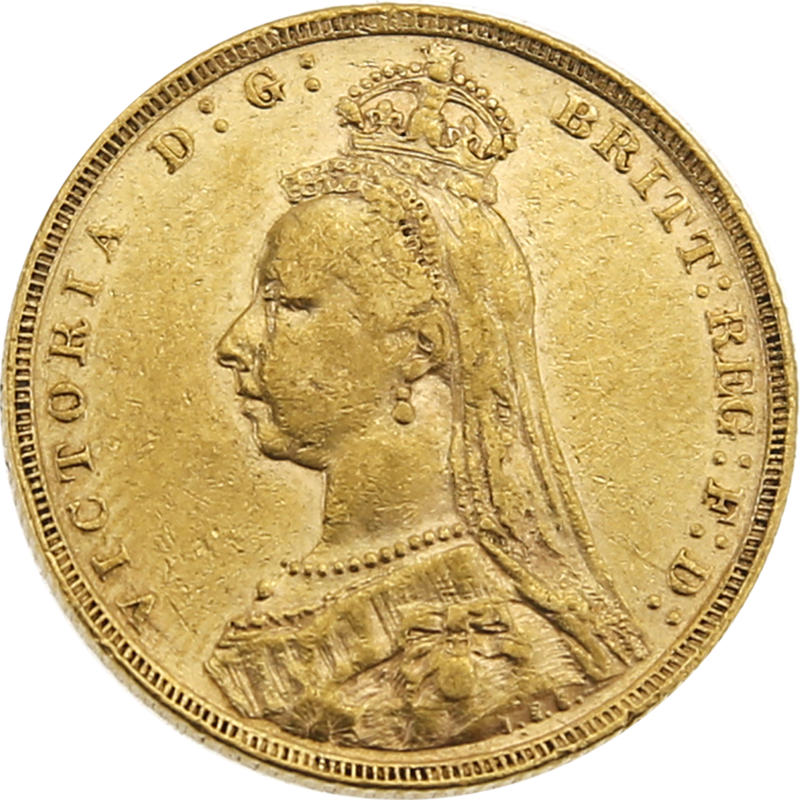 In 1887 a new portrait of Queen Victoria appeared, The Jubilee Head. 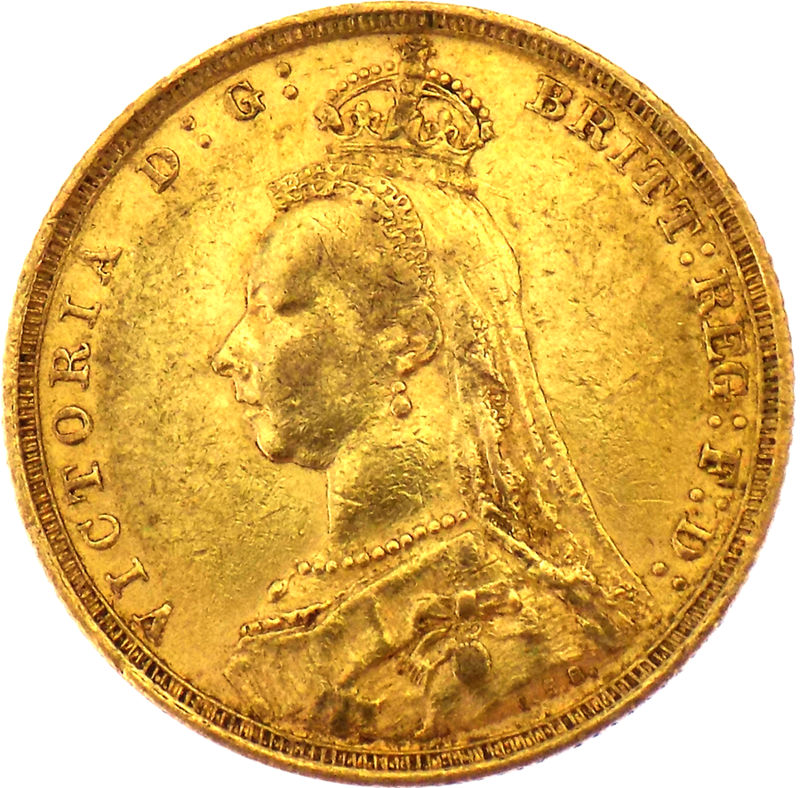 This coin was introduced during her Golden Jubilee. 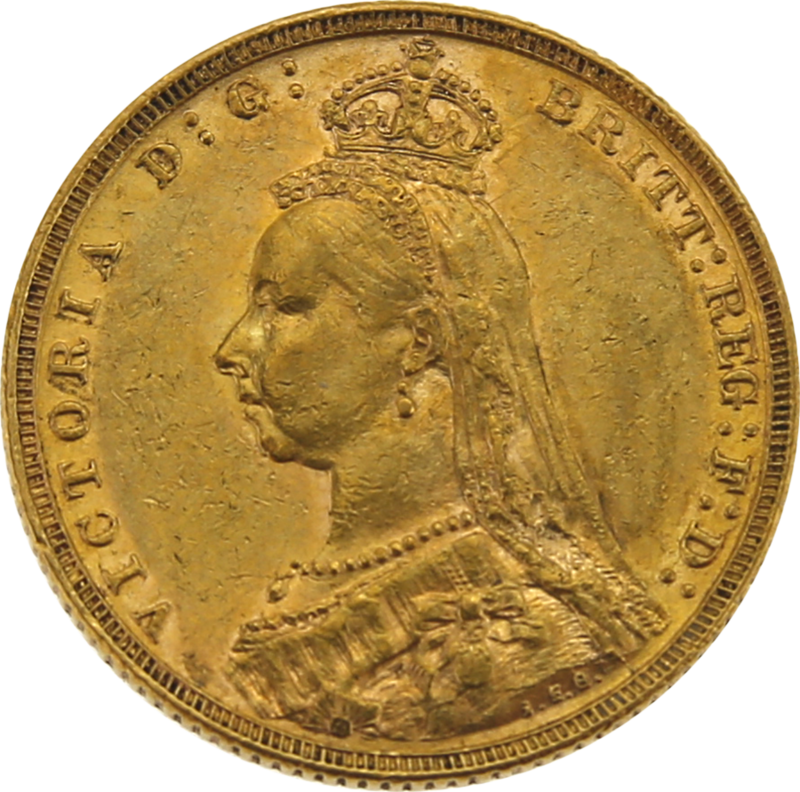 This head portrays a more mature Queen and is perhaps the least flattering of Victoria’s coin portraits. The Queen faces to the left on these coins and are struck in medal alignment. This means that should you hold the coin at the top and bottom and turn it through a horizontal axis the head or reverse will appear the same way up. The reverse of the coin continued to feature the George and the Dragon reverse, with one addition: the streamer located behind George’s helmet had been restored, the was originally removed from 1821 year-date coins onwards, but reappeared on the Jubilee Head design coins. 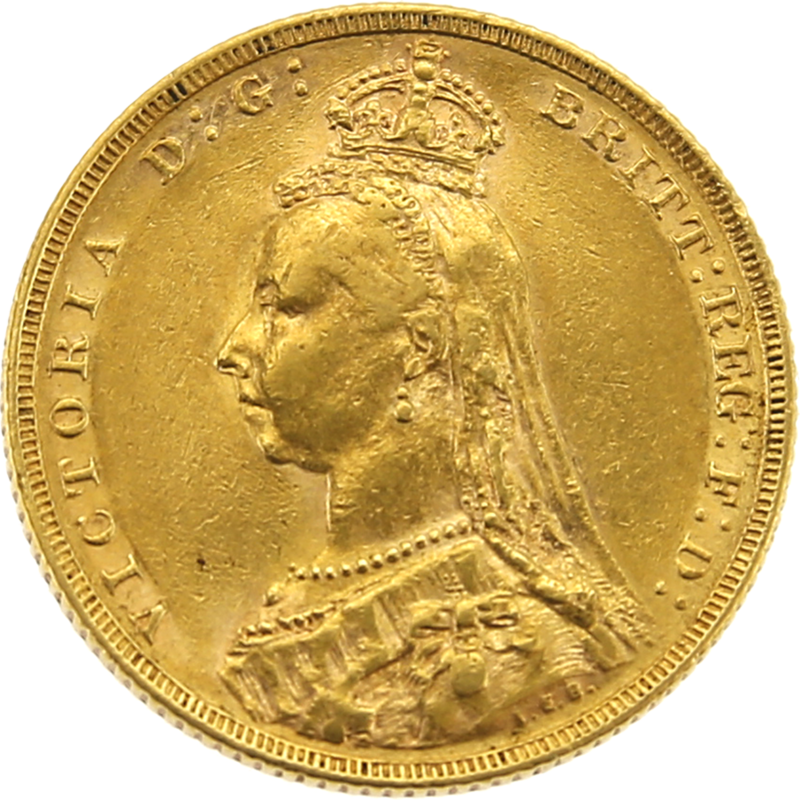 All Jubilee Head Sovereigns feature the George and the Dragon reverse.